Tristan had 74¢ and Juniper gave him a quarter. How much does he have now? Kids will practice identifying coins and using the part-part-whole concept (number bonds) to solve money word problems in this two-digit addition worksheet. 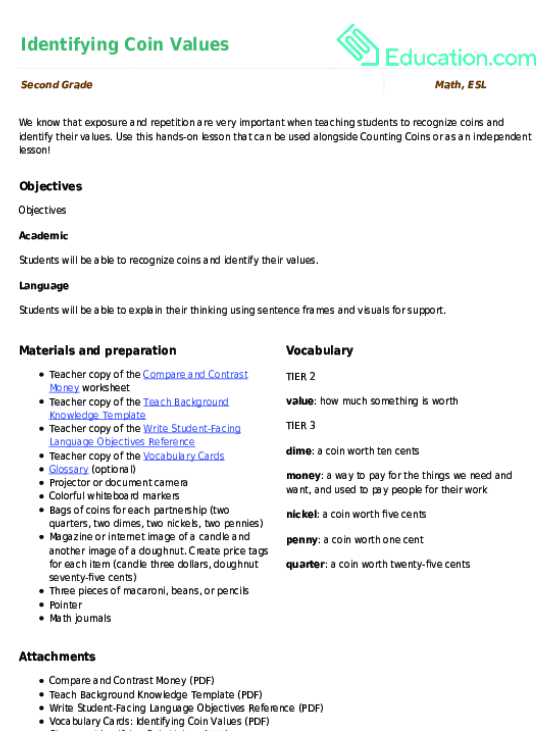 Can your students recognize and differentiate between coins? Can they correcty add those coins up? 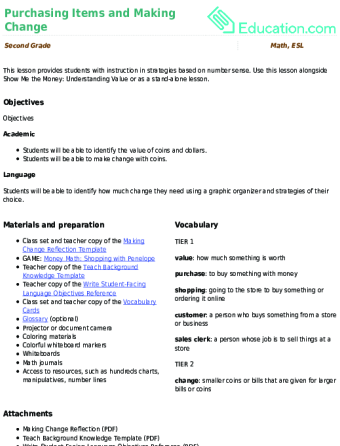 Use this money check-in to assess student abilities to identify and add U.S. coins. We know that exposure and repetition are very important when teaching students to recognize coins and identify their values. Use this hands-on lesson that can be used alongside Counting Coins or as an independent lesson!